A jawclip hair addition with straight hair on top and flowing locks of curly hair on the bottom. 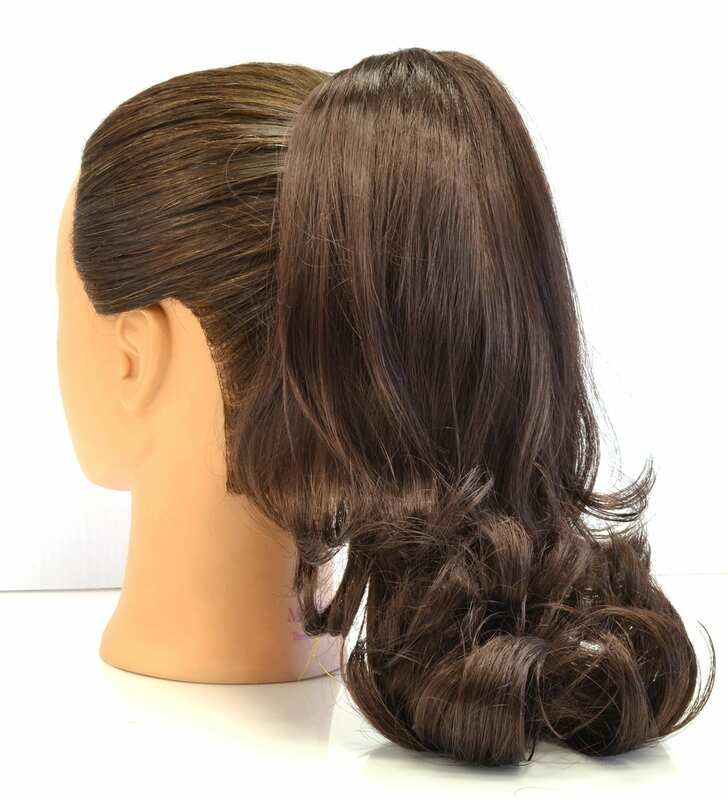 This hairpiece easily attaches to your existing hair for an instant splash of style. Perfect for any cheer or dance competition.